The Junior League of San Jose is an organization of over 600 women who are dedicated to making a difference in the lives of those in need. We have a rich history and commitment to improving lives in Santa Clara County. Our volunteers have been improving San Jose for more than 50 years. We take pride in the work that we do and we do it with Grace. Evidence of this impactful work can be seen across our community as our members have engaged in community building since the early days of the League. 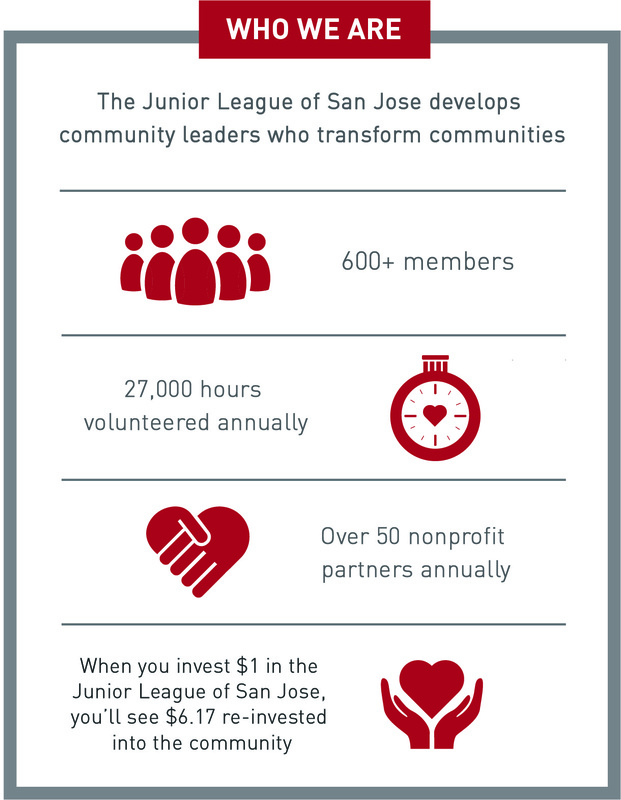 Junior League of San Jose (JLSJ) members are committed to making positive changes and serving as leaders across the community. Like most of our members, I joined JLSJ to meet like-minded women. I was new to the Silicon Valley and looking to volunteer, but also establish a circle of friends. Over the past 13 years, however, I have had the privilege to learn the history of our organization and our long-standing impact on the community. JLSJ was instrumental in the creation and funding of Wonder Cabinet at the Children’s Discovery Museum, Bring Me a Book Foundation, Sunday Friends, Grail Family Services, and so many more. Our volunteers are committed to promoting voluntarism, developing the potential of women and to improving our community through the effective action and leadership of trained volunteers. We focus our volunteer and financial resources on our Community Program ~ helping foster youth successfully transition out of foster care. We are entering a collaboration of working with Silicon Valley Children’s Fund, Bill Wilson Center, Healthier Kids Foundation and First Place for Youth. By addressing the needs of foster youth and the complete and intense issues they face, we are helping change the statistics. Learning Development – many of our volunteers gain and increase their skills. 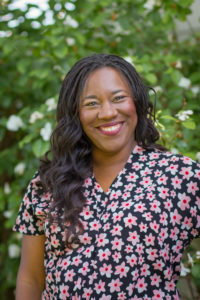 The women in our organization develop the confidence to become leaders in the community, other non-profit organizations and the business sector. We sponsor short-term projects with local non-profit organizations through our Done-In-A-Meeting, which provides volunteers and funding in a high-impact, low-cost manner. JLSJ is part of something even bigger! We are a member of the Association of Junior Leagues International, Inc. (www.ajli.org), an organization of over 170,000 members in 294 Leagues located in the United States, Canada, Mexico and the United Kingdom. If you are interested in joining JLSJ, or think you might be interested, please contact us at 408.264.3058. And, if you know someone who may be interested in participating, please ask them to contact us – there is always room for more volunteers! I hope you will join us this year on March 16, 2019, at the Santa Clara Fairgrounds for our 51st Rummage Sale. It will be a fun and spectacular event, which raises the necessary funds to allow us to continue to do our vital work in the San Jose community.